The Soot Sweeper ll can exchange all the air in a room in under two minutes. When you turn on the SootSweeper ll and put its 4" diameter hose into the fireplace opening, dirty air is drawn into its charged filter. The filter (included) has a total surface area of 212 sq.ft. 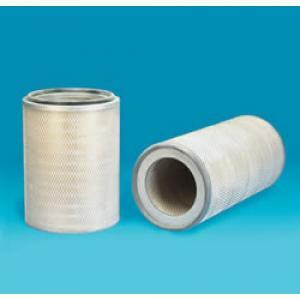 Replacement filters are available. The filter measures 18" high by 14" diameter. 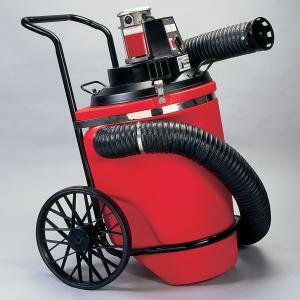 In addition to the replacement filters we offer a SootSweeper ll replacement motor brush kit and a replacement 4"x10" hose, factory direct. The Sentinel Filter clamps to the air exhaust to provide extra protection against leaks in your primary filter. 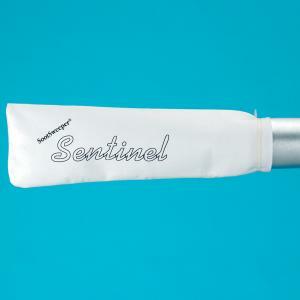 It the Sentinel Filter starts to turn gray, you may have a leak.